I have not ridden these trails yet, but I was surprised that they were not listed yet on the ST's database. There are 28 miles of multi-use trails in the park, not including the park's Competitive Loop which is already listed on Singletracks. Many of the trails are pretty remote and look much more interesting to me than the Competitive Loop. So I post these trails hoping to stir some interest in the area. There looks to be a pretty challenging outer loop, starting near the entrance of the park, going up Goats Camp trail to Ford Canyon Trail and then Mule Deer back to one's car. That would be about 16 miles long most in desert backcountry. If that didn't work, Mesquite to Ford Canyon to Wildlife trails might make a nice lariat. Or a loop of up Mesquite and down Goat Camp. 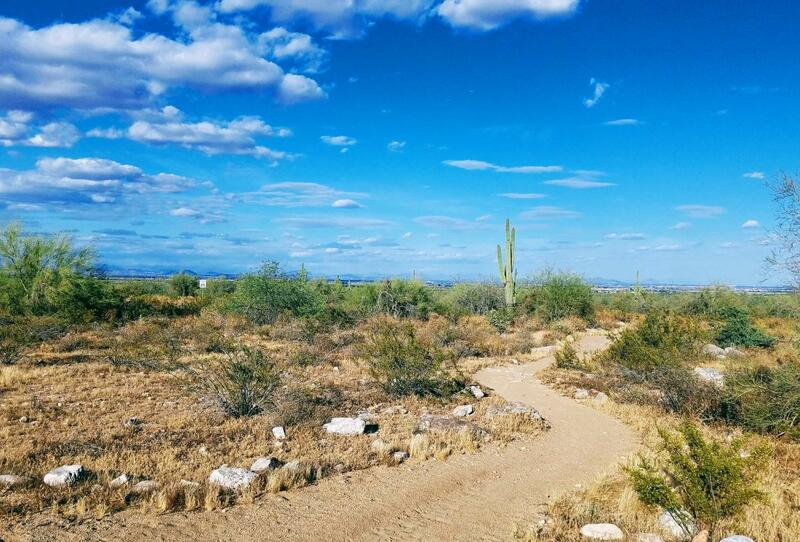 Review: The Bajada Trail @ White Tanks Regional Park looks like a flat, sandy beginner trail, but due to the heavy horse traffic the trail is rutted down the center in many areas and large rocks need to be carefully attacked by judging whether or not to ride up and over or in between. Keep your speed up and watch ahead or you could end up meeting a Cholla cactus up close and personal.! The grade is not steep, but the numerous rocky areas make it a great way to measure your technical abilities. A rockin' and rollin' little trail that is a great warm up, or a challenge for a beginner. Review: The park is clean and the trails are very well maintained. White Tanks Regional Park Trails MTB Trail 4.27 out of 5 based on 3 ratings. 3 user reviews.